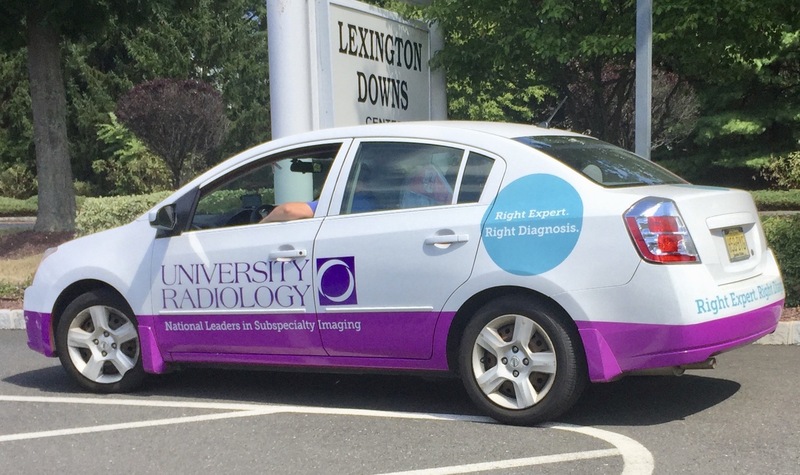 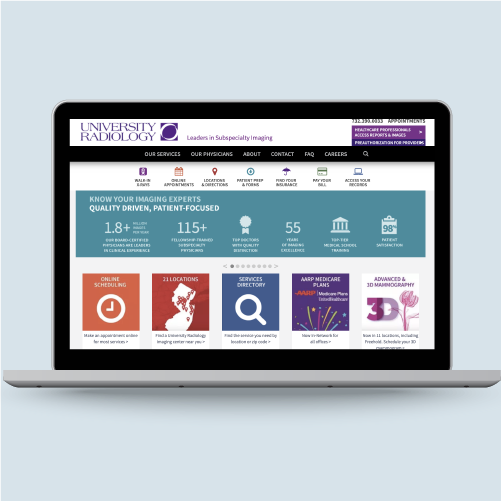 We helped to reposition University Radiology as a national leader in subspecialty radiology, growing from 7 to 21 locations. 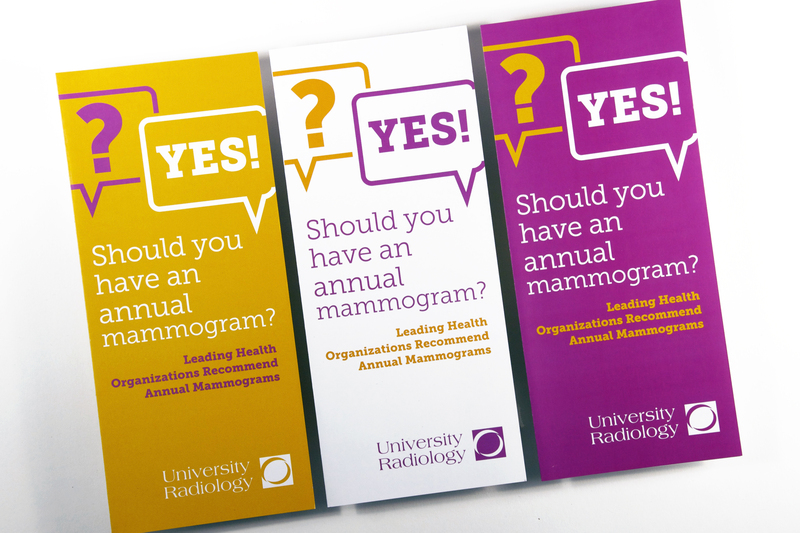 With a volume of 1.8+ million scans performed a year, Smith + Manning provides on-going marketing strategy and full design services including website development and patient tools (e.g insurance navigator), SEO and appointment-tracking strategy, and a robust social media presence, including a best in class Google Business, Maps and Reviews. 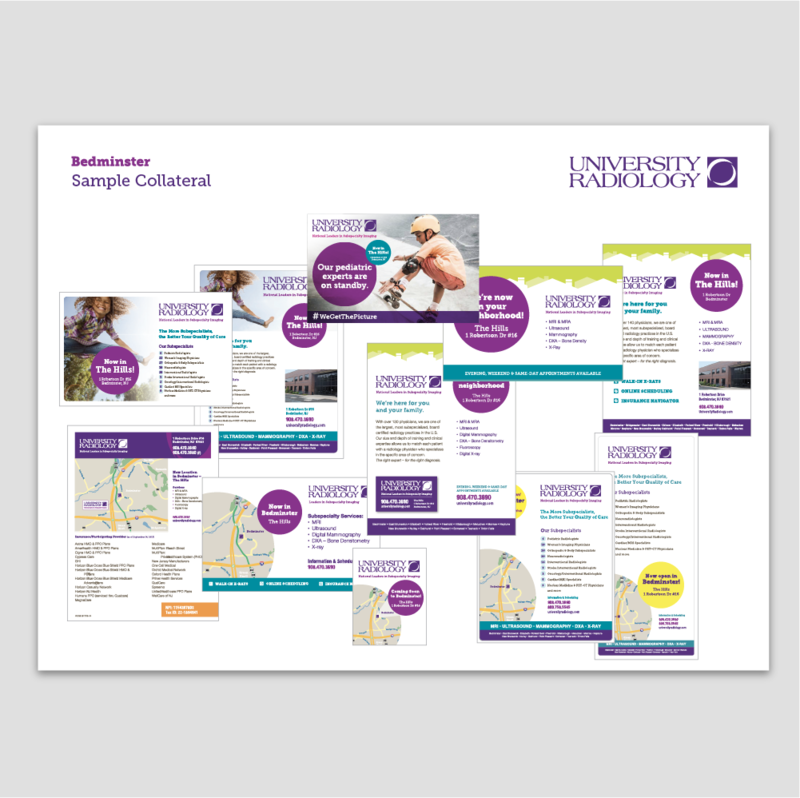 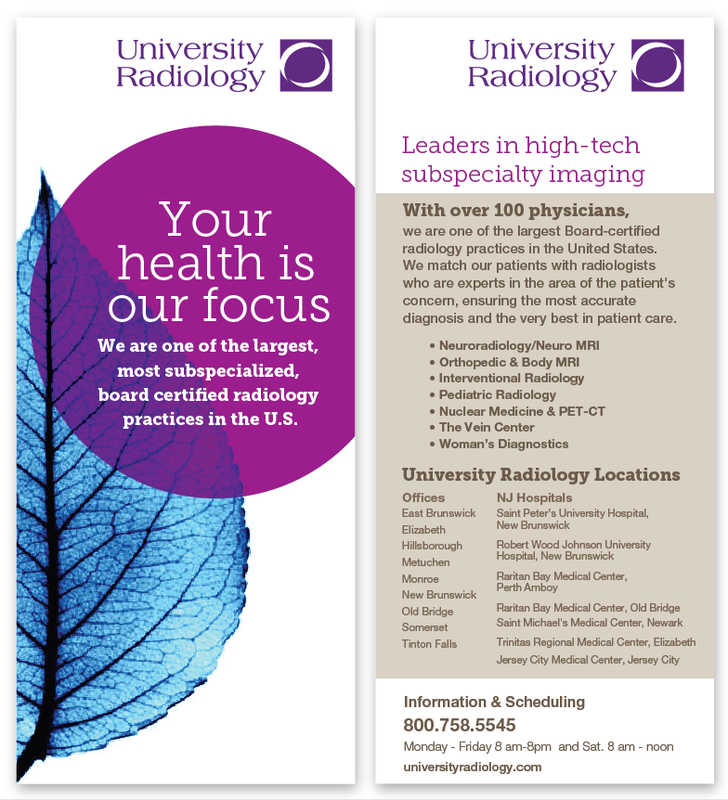 For referring practices and patients, we create clinical and promotional materials, including monument signage, interior signage, trade show booths, flyers, mailers, billboards, advertisements, clinical forms, and a variety of other promotions. 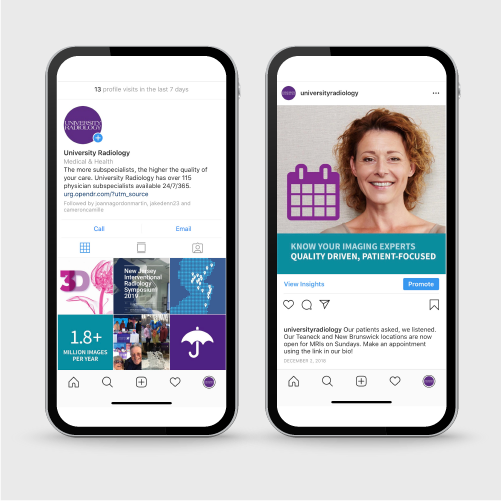 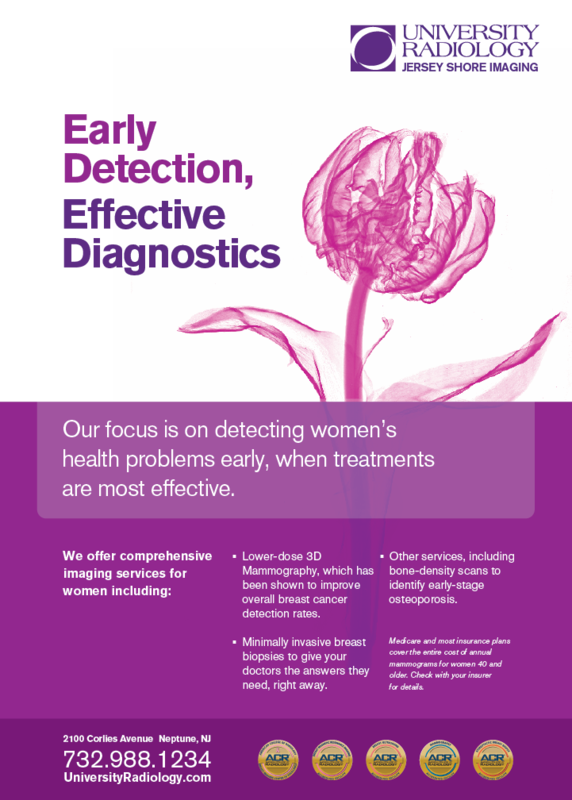 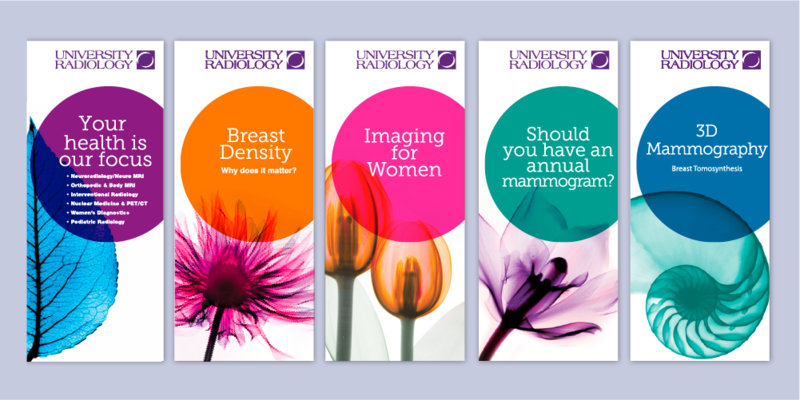 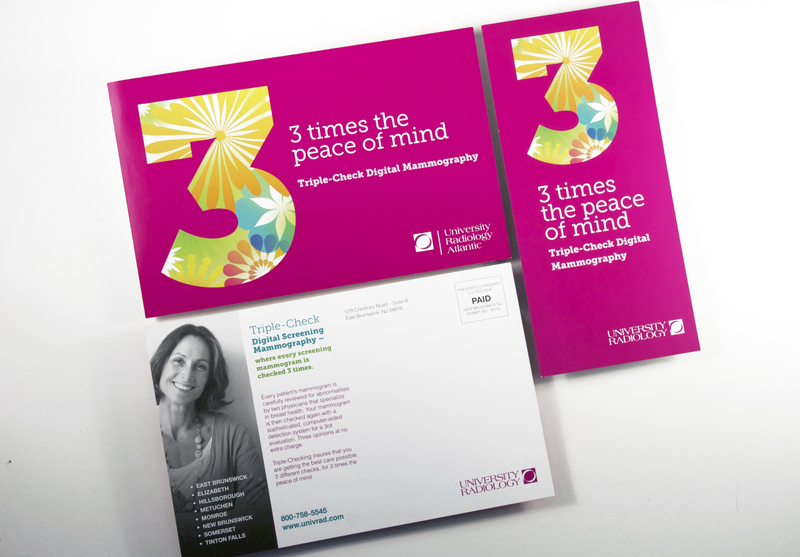 Our work for University Radiology has won numerous awards, including GD: USA Design Awards, Communicator Awards, Aster Awards, Healthcare Advertising Awards, and SIAA Awards.